Life is but a dream, live it 'fore it disappear. The parade will pass you by if you sit and stare. Blueprint (born Albert Shepard) is a rapper and hip hop producer from Columbus, Ohio. He first discovered hip hop while he was in elementary school, after being introduced to the genre by his aspiring DJ cousin. He pursued his career as a rapper in 2001, as part of various collaborative projects, including being one half of the group Soul Position with producer RJD2. He is also a member of the rap group Greenhouse Effect, and together they founded Weightless Recordings. 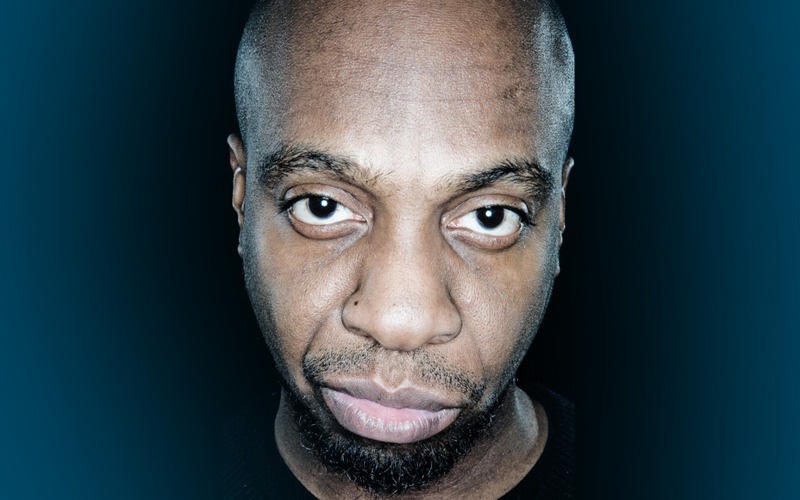 As a solo rapper, Blueprint is known for incorporating many different styles of music and for his story-telling freestyle technique. His first solo album, 1988, was released on Rhymesayers in 2004. The success of this album allowed him to tour across North America and Europe, and to work on his second album. Adventures in Counter-Culture, also on Rhymesayers, was released on April 5, 2011. Inspired by the impact of sampling lawsuits on the hip hop music community, he wrote and produced all original content for this album. Sampling music from existing recordings is common practice in the hip hop scene, but many artists have faced lawsuits for not obtaining the proper rights to use the music. Inspired by the impact of these lawsuits in the hip hop community—from Danger Mouse getting a cease and desist order from EMI for sampling The Beatles on The Grey Album, to sales of Notorius B.I.G's album Ready To Die being halted for sampling The Ohio Players—underground rapper Blueprint wrote and produced all original music for his latest album, Adventures In Counter-Culture. Hailing from Columbus, Ohio, Blueprint (whose real name is Albert Shepard) has created an album that draws from a wide-range of inspirations, even electro and R&B. “Radio-Inactive” is his response to being shot down by a DJ in Columbus, who said that his song didn't “fit the format” of their radio station. It starts with slow-tempo keys, before incorporating electro-synth elements. Blueprint's flow is angry-yet-powerful, as he raps lines like, “I made this in my basement when you wasn't even there/To express my feelings not to be played on the air/So am I wrong or secure if I really don't care if this ever turns into something that anybody hears?” On this album in particular, Blueprint's style—both musically and lyrically—is noticeably different than mainstream rap. He's not afraid to delve into other styles, or to make harsh comments against mainstream society. “Wanna Be Like You” is one of the songs that best demonstrates this. It starts out with a synth-heavy, 80s electro feel, before his R&B-style croon comes in to take a stab at people who are obsessed with celebrity culture: “We wanna trade spaces with the faces on the TV screen/If you could actually open the doors, you'd find out their lives ain't better than yours/They got flaws, but we're forgetting who we are, blinded by the stars.” Other songs on the album range from politically-charged (“My Culture”) to deeply personal (“Keep Bouncing”). The latter was made before Blueprint became sober, and it's an uncensored insight into how alcohol was making him act. “So Alive” is one of the most danceable tracks on the album, with its handclap rhythm, spontaneous bursts of “hey!” and upbeat tempo. There's also a trippy stop-motion animation video to go along with it, which includes a paper airplane's point of view as it flies through a snowy urban landscape. By delving into styles that aren't normally associated with mainstream hip hop, Blueprint has solidified his place as a powerful force to be reckoned with in the underground hip hop scene.